Are you or an elderly loved one struggling to recall names, recognize faces, or remember events that happened only recently? There is strong evidence to show that greater communication, particularly face-to-face conversation with family and friends, can help significantly with memory and even help to prevent dementia. Unfortunately, many seniors struggle to see their family and friends often due to busy lives, health reasons or the tyranny of distance. Sadly, there is growing evidence from medical studies showing that loneliness and social isolation can impact gravely on quality of life and well-being. Specifically, medical studies have associated “being alone” and feelings of loneliness” with dementia & Alzheimer’s. There’s also a significant and lasting effect on blood pressure and links to poor sleep, depression and higher mortality rates. What can you do? Retaining and recalling old memories, as well as acquiring new memories, contribute to your own happiness as well as the happiness of loved ones. In this guide, we’ll share some tips and tricks on how to improve memory health and exercise memory recall through the use of memory aids, communication techniques and assistive technology. Looking at pictures of family and friends frequently helps to keep them in your memory, reminds you of the good times you’ve shared together and encourages you to contact them. Collect and print photos of your loved one’s extended family and close friends, and place them, in a logical arrangement, into a photo frame. Display the frame prominently where it will be viewed often, to maximize the benefits. Use photos that make them happy: Try to find pictures that include favourite possessions such as musical instruments, gifts and ornaments, and of familiar settings such as family birthday parties and Christmas dinners. This will trigger and reinforce many happy memories . Choose happy snaps over serious poses. 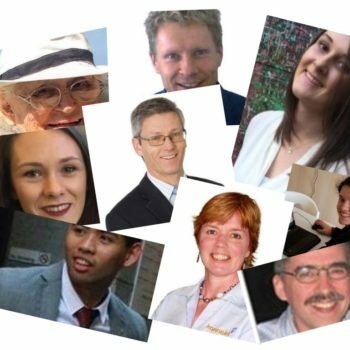 Research shows that smiles are contagious: A grin can lift not only your own mood, but also the moods of those around you. In fact, it is associated with a lower risk of stroke and could even lengthen our lives. The act of smiling releases neuropeptides such as dopamine, endorphins and serotonin – tiny molecules that allow neurons to communicate – that help fight stress and lower blood pressure. Ward off dementia: Beneath each photo, write each person’s name and relationship to your loved one (for example, “Aunty Flo” or “Son John”) and perhaps their phone number. Reading a simple caption each time the photo is viewed will reinforce the connection between face and identity. Seeing the phone number will remind them to call and give them confidence that they will be able to call, even after an electrical fault or flat battery wipes their telephone’s speed-dial memory. phone, there are many apps that can help you arrange a small group of photos into an attractive collage, such as “Pic Collage”, “CollageMaker”, “Fotor” and “CollageIt”. Other apps enable you to add your own captions. Consider a digital frame: Now that the photos are ready, you can print them. Prints from cheap home printers tend to fade and discolour quickly and are actually more expensive once you take into consideration the price of the ink, so we recommend professional printing or do-it-yourself printing at your local camera shop or using an online photo service. You can use individual photo frames or, better yet, mount the prints onto a cork-board and hang your work-of-art in your loved one’s house in a place where it will be seen often. Alternatively, to save on time and print costs and to reduce the clutter of multiple photo frames, use a digital photo frame that can cycle through many photos. Digital photo frames vary in cost depending on size, ranging from $3 – $5 for a 1.5-inch keyring frame, $20 – $40 for a 7-inch slide-show model, or $100 – $200 for a 15-inch frame that can also display home video clips, play music, display date and time and even remind you to take a nap. You can even purchase an Internet photo frame that allows you to load and update photos remotely, over the Internet, from any device browser. We have personally given our elderly parents digital photo frames containing photos without any captions. It feels so good to see them smile each time the frame displays a new happy snap, but it’s a little sad when they can’t quite place the face. Please invest the time to add a few words to each photo. Talk to loved ones: Communication, especially face-to-face conversation, boosts brain activity. Humans are social creatures, and loneliness is a detriment to both mental and physical health. Frequent communication, however, helps keep your brain active – through reminiscing, recalling past events and thinking about common interests — and exercises your brain’s retention and recall of memories. A recent OHSU study involving elderly people showed that only face-to-face conversation significantly and measurably increased cognitive ability, lending hope to the hundreds of million of older adults who have dementia or are worried about dementia. Too busy to visit? 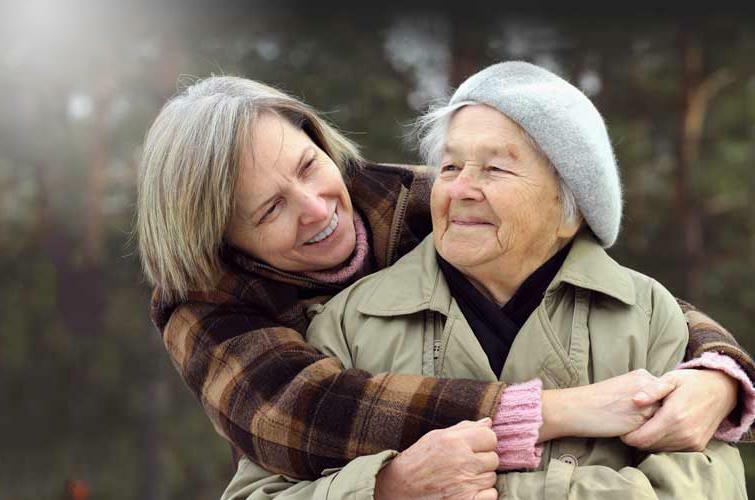 These days, with busy work schedules, our own family and other commitments, it can be difficult to find quality one-to-one time to travel and visit our elderly relatives. With technology today, we can call people whenever and from wherever we want. However, nothing beats the face-to-face experience – that’s why web-based video conversation has become more and more popular, and why we are seeing the emergence of more and more social media platforms with built-in video calling. Younger people regularly use apps such as Skype, Facetime, WhatsApp, Viber and WeChat to see each other across state boundaries and across the globe. 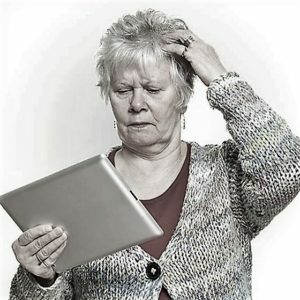 Unfortunately, these apps can be difficult for an elderly person who has not grown up with mobile phone and tablet apps, or someone with low vision, bad hearing or poor hand-eye coordination. Is Video calling for everyone? Yes, these apps and devices provide a platform to get as close to family and friends as possible even when we’re miles away from home. But for those who don’t know how to use these devices or struggle because of a physical or mental limitation, this new way of communicating can be frustrating and impractical. Fortunately, there are alternatives that provide greater simplicity and accessibility. 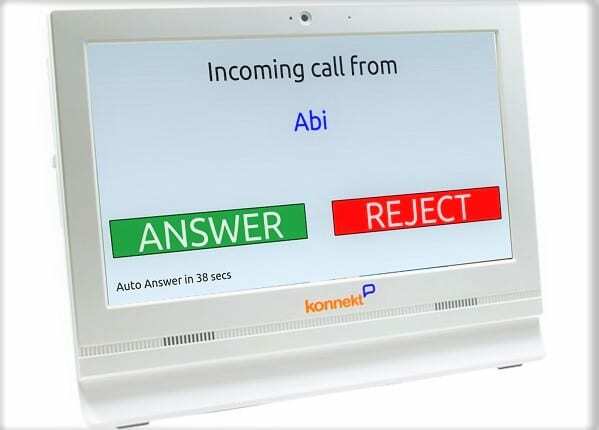 The Konnekt Videophone is an example of a device and service that can help bridge this gap. 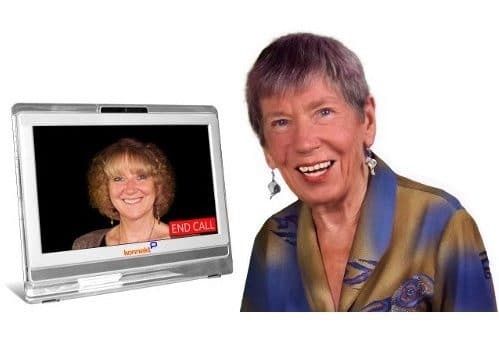 Videophone uses a design dedicated to making face-to-face calling extraordinarily simple. 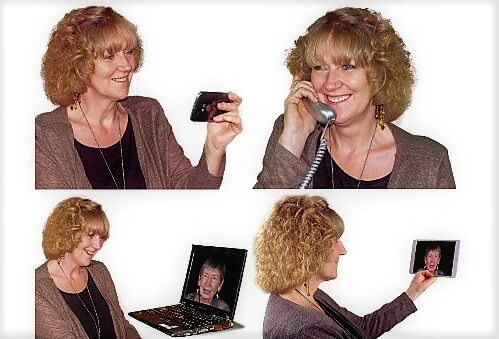 It helps the elderly to remember family and friends, communicate with them extremely easily, and even view photos shared to Videophone without having to press a single button. 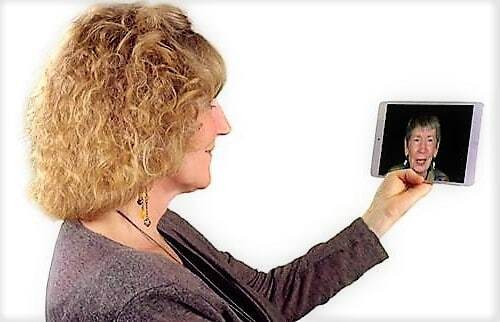 Videophone provides one-press calling using a pressure-sensitive touch-screen that even works with prosthetic limbs. An auto-answer feature enables trusted family members or nominated carers to check-in visually to monitor health or in case of an accident. Konnekt provides a full-service for the user as well as family members, including those that are interstate or overseas, to keep things running smoothly. Create instructions: Write simple step-by-step guides for your loved one to tape next to their microwave, the stove, the TV and air-conditioner remotes. Just a little memory-jogger, you might like to explain to them that it’s mostly to help you when you visit because your own home appliances are different. For the elderly, being able to make their own breakfast, cook a microwave meal for lunch, reheat coffee, watch the news and stay cool – without a support call to the family – is vital for independence and self-esteem. Get a simple remote: Most TV remotes have many tiny black buttons on a black background. It’s easy to inadvertently leave the TV stuck in an unwanted AV-input mode. Buy a universal, six-button remote for the TV: Power, volume up & down, channel up & down and perhaps mute. Buy two or three of them, and buy a few sets of spare batteries. If you can, re-program the TV to remove unwanted foreign-language, music-only and shopping channels. It can be hard to find a remote that has only a few, big, brightly coloured buttons. 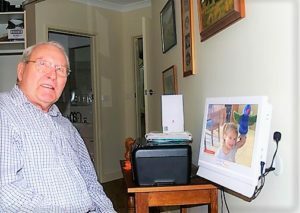 Search websites for the elderly and vision-impaired such as Vision Australia, TV Remotes and Independent Living Centre, as well as popular shopping sites such as eBay or Amazon, for “TV remotes for the elderly” or models such as “Tek Pal”, “SEKI” and “Doro HandleEasy”. A suitable remote can be found for between $20 and $75. Keep the mind active: Keep your loved ones doing chores as long as possible. This is exactly the opposite of what you might be tempted to do! Certainly, you should remove the more dangerous chores as they become too risky, but encourage your loved ones to continue to own the tasks that work the brain and the body. Allow them to do things for you when you visit to help them feel useful and regain some independence. Watering the garden using a hose, for example, can be very therapeutic, if there is not a high risk of falling. Making coffee can be made safer by using a modern plastic kettle or, better still, a filtered-coffee machine that drips hot (not boiling) water through a paper filter. Adapt early: Introduce them to new technology and new routines early, well before they need it. When they forget how to use their old, complicated microwave, it might be too late to teach them to use a newer, simple microwave… or TV, or alarm clock, or music system. We’ve shown you 3 ways to improve memory health and keep memories alive: Make a collage of captioned family photos, increase face-to-face communication, and reduce technology stress by adapting appliances and introducing assistive technology as early as possible. If you have other suggestions, please help other readers by commenting below. If you liked this article, you may want to read our discussions on How to Prevent Dementia or Elder Depression Halved by Face-to-Face Contact for further information about memory and the importance of human contact. Or feel free to read our other free articles, or subscribe below to get the latest technology information, Konnekt news and tips for carers or service providers, to help yourself or elderly loved ones as time goes by. 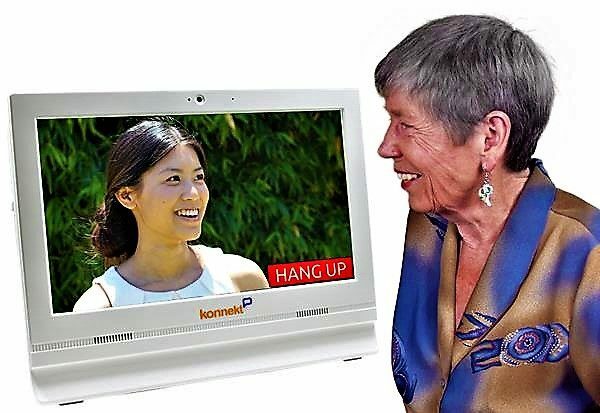 Learn more about Konnekt Videophone or contact Konnekt to find out how our Videophone can further help improve the health and well-being of your loved one, and keep your family connected.